Durable high-tech micro-fiber upper construction offering a superior flexibility. Ergonomic new last for forefoot streamlining and superior fit and comfort. Innovative TPU lateral ankle brace protection provides biomechanical support between lateral top calf/shin and ankle and offers improved structural integrity. 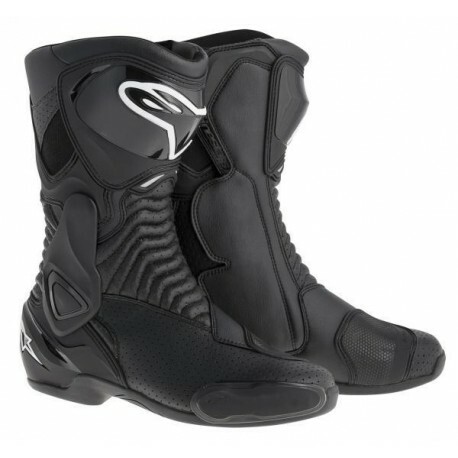 New Alpinestars’ exclusive compound rubber sole promotes improved water run-off and grip. Air vents on the heel counter and shin plate plus breathable mesh inserts. High modulus TPU injected shin guard, calf protector, heel counter, shift pad and lateral ankle brace. 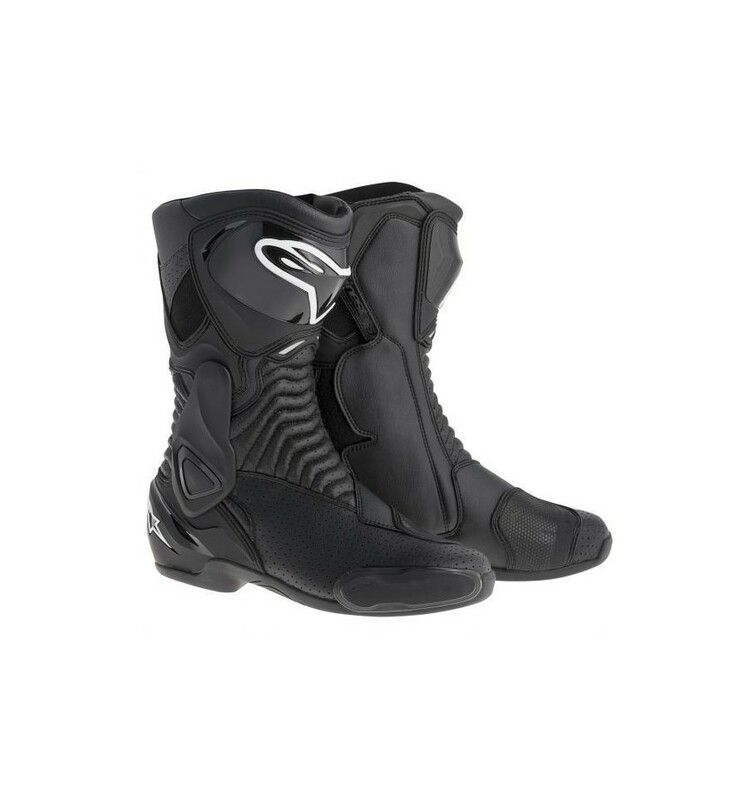 Double density ankle protector on medial side layered under the upper. Integrated, replaceable bi-injected TPU slider features new easy screw fixing concept. Innovative instep and Achilles accordion flex zone construction for superior comfort, control and support. Internal insole with the shank reinforcement integrated for added support to the arch area. Medial side entry opening/closure system features elastic-mounted zipper with wide Velcro closure. Internal toe box protection is layered under the upper. Breathable textile interior lining features anti-sliding suede reinforcement on heel area. Removable anatomic footbed includes EVA and Lycra for comfort and support. The S-MX 6 boot is CE certified.